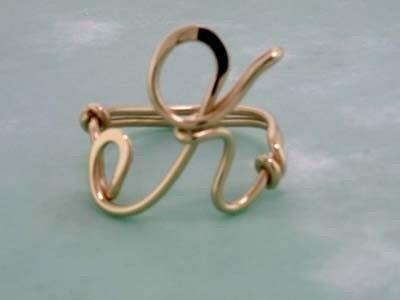 EACH INITIAL RING IS CUSTOM MADE AND PERSONALIZED JUST FOR YOU! Each ring is made to order with the initial and ring size you request (Initial is approx 3/4") - The Initial Ring is a fun and noticeable ring to wear. 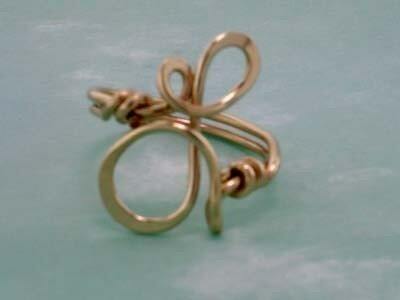 If you prefer Silver please look for the Sterling Silver listing - it is a bit less in cost. Everybody loves these, a very popular item! Great for Christmas, Birthdays, Sweethearts, Valentine's Day, any time! In the notes to seller section just enter the initial you want.